The Maritime and Port Authority of Singapore (MPA) has announced that Singapore bunker service provider New Ocean Maritime was convicted and fined S$81,000 for providing services in the port of Singapore without a bunker craft operator licence between January 3, 2015 and March 28, 2015. According to MPA, New Ocean Maritime was also found to have used the bunker craft operator licence that was issued to Seaquest Tanker for providing services in the port. MPA already revoked Seaquest Tanker’s bunker craft operator licence in April 2016 for its involvement with New Ocean Maritime. 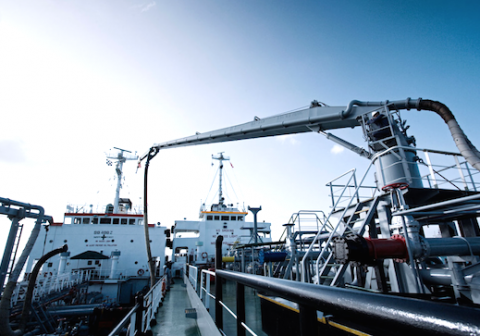 “To safeguard Singapore’s reputation as a trusted and reliable bunkering hub, all bunker suppliers and bunker craft operators operating in the port of Singapore are required to be licensed by MPA. MPA adopts a zero tolerance approach towards bunkering malpractices and will not hesitate to take action against any unlicensed entity operating in the port of Singapore,” MAP said in a release.